Feel a sore throat coming on after the Chinese New Year festivities? These signs of discomfort may be indicative of your body retaliating against the excess oil and fat you stuffed yourself silly with. In traditional Chinese medicine (TCM), there exists “heaty” and “cooling” foods. No, these have nothing to do with the temperature these foods are at! Instead, they are related to the “yin” and “yang” energies in our bodies. While neither types of foods are viewed as good or bad, TCM believes that a balance of both is key. Heaty foods are related to the ‘yang’ energy while cooling foods are related to the ‘yin’ energy. in a body. It is believed that heaty food tends to cause hot flushes, sore throat, acne and fevers. 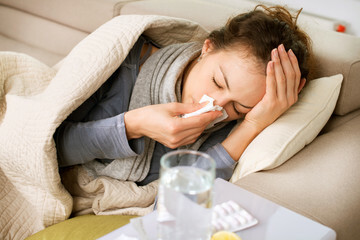 On the other hand, cooling foods are believed to bring about sore muscles, fatigues and the flu. Bid farewell to unwanted toxins while savouring this crisp fruit. Host to a wealth of vitamins such as C and K, the pear provides essential nutrients and minerals for our bodies. Not only does it have cooling properties, but pears have a higher water content than other fruits, helping you stay hydrated. Cholesterol is also reduced with the fibre found in pears. No wonder some say that they feel a sudden rush of energy and refreshment after consuming them! Be as cool as a cucumber by eating more of them! Chop them up and add them to salads, or spiralize them and make cucumber noodles. Let cucumbers be a staple in your diet – they are very low in calories (only 16 calories per 100g!) and can potentially prevent weight gain. As if you need to gain any more weight after the Chinese New Year feasting. Additionally, they contain an anti-inflammatory component that also supports brain health, able to improve your memory and keep dementia at bay! Recently, tofu has been gaining popularity in the culinary and health world, and it’s not hard to see why. Tofu is low in fat and high in protein. Being a plant-based food, it is widely used as a meat substitute in vegetarian diets too. Neutral in taste, tofu is a blank slate ready to be infused with the spices of your choosing. 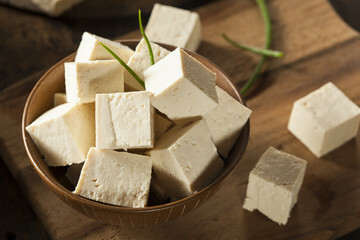 Did you know keratin can be found in tofu too? This is a type of protein responsible for hair growth. Get ready to embrace those luscious locks without expensive salon treatments! Refreshing coconut water and tender coconut meat are a hard combination to beat. Together, they are both delicious and full of health benefits. Tired of plain water? Coconut water will do just as well to quench your thirst! If you’re unable to get the entire coconut, stores also stock pre-packaged coconut water which is every bit as satisfying! Besides being high in protein, yoghurt is known to be an excellent source of probiotics. Consuming yoghurt regularly will aid in strengthening your immune system, keeping viruses at bay. Yoghurt is extremely versatile – have it with oatmeal, as the base of your salad dressing or even on its own! The ways to incorporate it into meals are endless. Bonus tip: Amp up its cooling properties with some mint! During this period of time, it will help to avoid fried and spicy foods. Drinking extra water is extremely important too. If you are concerned about overdoing the cooling effects of these foods, integrate other neutral foods into your diet as well.